Find candidates | MAX Solutions. Whether you are looking for a single person for your local business or a few hundred across Australia, we are able to help. We work with hundreds of thousands of individuals looking for work and find the right match for your business. Our online job search platform gives you access to thousands of people. 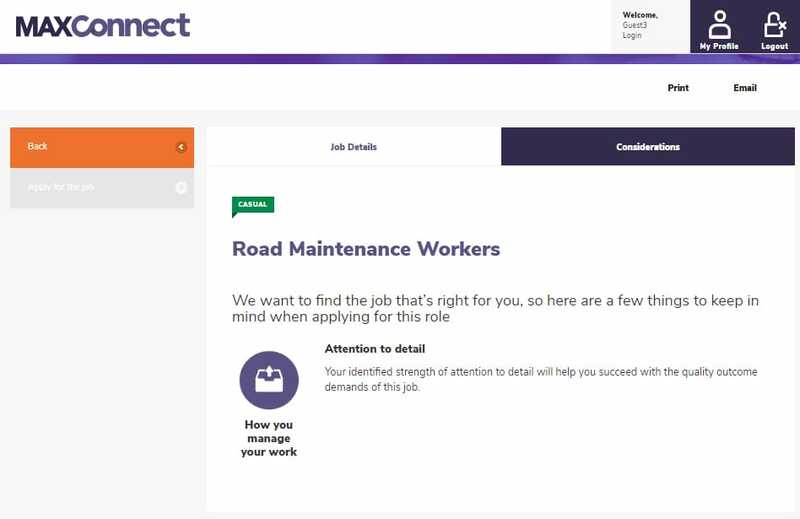 MAXConnect has more than just someone’s CV, it also matches peoples’ work preferences and abilities against your job to find the right people. We often have local engagement days in our employment offices. We can offer the opportunity to meet people face to face, in a relaxed environment, to find people you think would be the right fit. By understanding the opportunities you have, we are able to screen and select people for the role with the right skills, experience and attitude. We know meeting people just once or twice might not be enough. There are a number of ways you can use a work experience or trial period to get to know a candidate and their potential.